Clearing some space in your home, office, garage, or attic can breathe new life into your residence and make you feel instantly more organized. However, it is crucial that you carefully move your belongings to ensure that you don’t injure yourself in the process. By following a few simple tips, you can reduce the stress, frustration, and risk of injury during your next move. How you pack and the materials you purchase will make a big difference on moving day. While it may seem like a good idea to pack as much as possible into larger boxes, choosing smaller, similarly shaped boxes is usually the best way to go. Bigger boxes tend to be heavier, can wreak havoc on your back, are harder to get a good grip on, and can easily break open from the bottom. The last thing you want to do on moving day is clean up items that have spilled out from your perfectly packed box. Moving those heavy boxes can also quickly strip you of energy and lead to an injury. A dolly can be extremely valuable in any move. It can help you quickly move heavy and similarly shaped items in no time, and can maneuver stairways and save your back with every trip. Many people find that investing in furniture pads and covers can also help save their back and save time and energy on the move. If you don’t need to worry as much about protecting your furniture during the move (thanks to the furniture pads), you won’t need to twist, pivot, and contort your body in uncomfortable positions trying to carefully get the item to the truck. You may also want to remove drawers or anything else that may be weighing down your furniture before the move. Lifting properly is key to saving you back, knees, and shoulders. 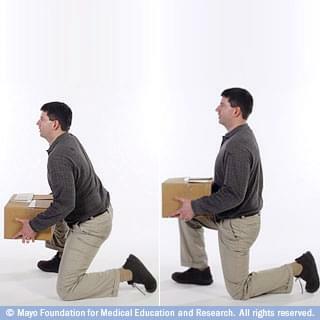 Anytime you lift a box, bend at the knees, squat, grab the box, lift with your knees, and carefully place the box on the dolly or truck. 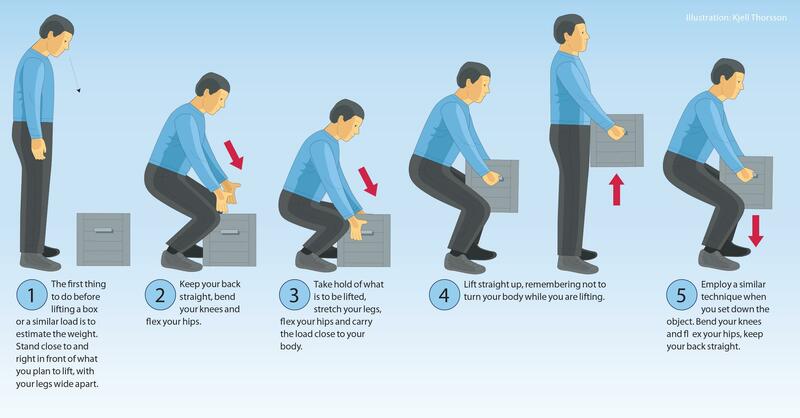 Never lift with your back or put any sort of strain on your back while carrying or lifting boxes. There is no shame in hiring movers. If you will be packing, moving, unpacking, and/or dealing with any of the other stresses of moving or storing your belongings, then the physical demands of the move may be too much for you to handle on the same day. Hiring a professional mover to take care of the heavy lifting for you can help you preserve your strength and energy for the rest of the move. Each rental at the Value Store It facilities comes complete with a free truck special. This allows for 25 miles and four hour use of the facility box truck, all for free. This will allow you to move all of your items in one or two trips, so you won’t need to drive back and forth for your items or have to spend money on a rental truck. Contact Value Store It for more information or to reserve your self storage unit!